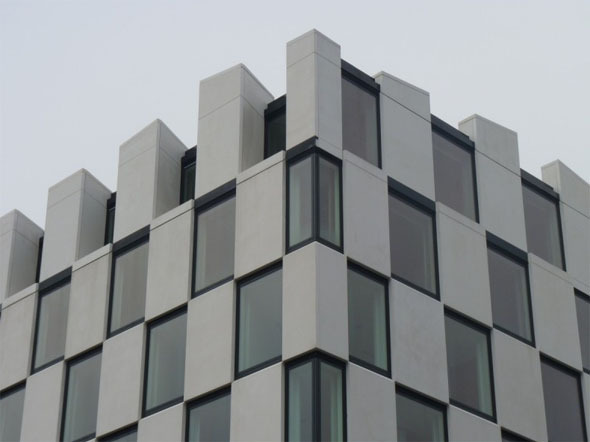 Due for completion in late 2008, but still not finished by early 2010, the hotel designed by Manuel Aires Mateus is another failed attempt to bring big-name architecture glamour to Grand Canal Square. On paper an interesting concept, the finished product seems more plastic than hewn from rock as was the architect’s intention. The hotel sat unfinished until 2012 after the original developer ran into financial trouble.